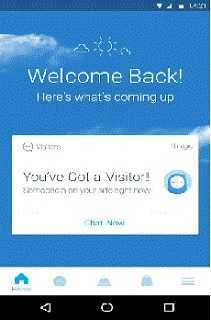 Every blogger wants to know about the new instrument, which helps to update the blog with the help of his smart-phone or any other handy device. 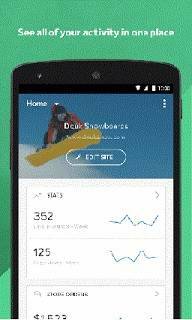 Google provide decent apps collection in play store to provide assistance to new blogger for his blog update from anywhere. It's an amazing way. As you know that blogging is a way to express yourself and use to share your views online on the internet. Android OS help to blogger to share views faster in followers with the help of Smart-phone, Tablet, and other devices. Now it is not mandatory for the blogger to keep a computer or laptop always with him. The number of bloggers runs his blog to capture the event and want to flash news in followers. In that case, these blogging apps tools help him. They can capture the event and write his message and post on his blog instantly. These are absolutely free for you. You can install these free apps in your Smart-phone and start blogging online. 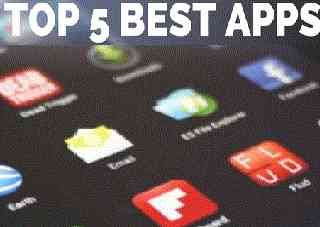 Here collected top 5 free apps for you. 1. Blogger - This app easily available to compose the post and publish immediately by the single click. Blogger can Edit and save his published post. you can switch account or blog if you are having more than one. You have the right to embed an image by utilizing the gallery or can take directly from the Android app. May set location information & labels to your post. 2. WordPress - WordPress Android is very famous in blogger. It is very handy and having great features for them. This Android puts the power of publishing in your hands, it is helpful to create and consume the blog content. A blogger can write, edit and publish the post from anywhere and check stats to inspired himself with great posts in the Reader group. It is important to take care and confirm before downloading or install the apps in the Smartphone or Tablet. 3. Tumblr - Tumblr is the best free blogging platform for the new blogger. I have started to write a post on Tumblr. It provides all features, which are required to write a post. Tumblr Android is a place to discover and post about stuff a blogger love. You can add photos, videos, live videos, songs, text and much more. Especially you can make GIFs!. 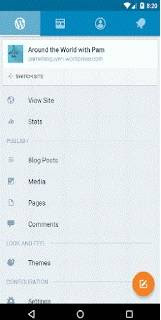 Another feature is here that you can re-post blog content to other people's post to your own blog. Another one is, you can earn money through Ads. Because some Ad agencies support Tumblr. 4. 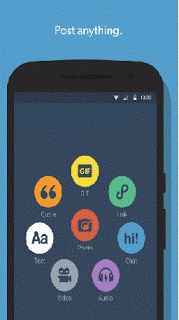 Weebly - These Apps have a wide range of capacity to add people to this Android. Over 30 million people around the world have created the website on Weebly. Android helps to create the website, blog directly. 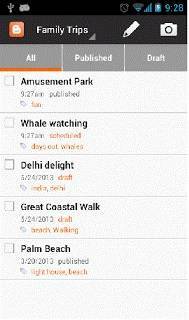 A blogger can use it easily, avail the facility of available attractive themes on apps too. Other great features are - drag and drop website builder designed for the touchscreen phone, upload images from the library, available text and media design elements. Can monitor site traffic and comments instantly on the dashboard. Manage your blog from anywhere. 5. Wix - This is a totally different app. Now it is easy to manage your website, business, and blog with the Wix app. This will help to provide the message of your site. You can upload photo and picture as available in the app. These apps get a good rating in the Google Play store. Basically, you can manage your business by its customer support team and use for blog update too. So many platform and Android are available in play store but these five are the best for a new and professional blogger. Features are amazing and very helpful to manage the content and fulfill the visitors wish. Now install your Android according to blog and avail great facility today.